The most knowledgeable people about a company’s products are typically its own employees. They’re often the most enthusiastic about the product and are best suited to answer questions relating to it. Therefore, it makes sense for brands to work with keen workers to make them employee advocates on social media. 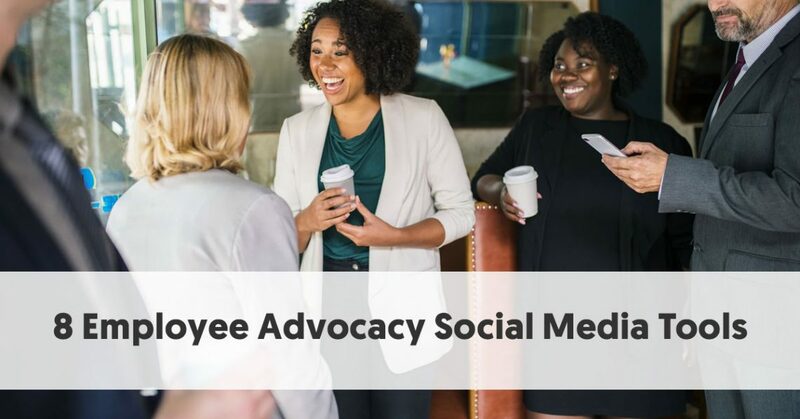 Although this may seem daunting at first, there are numerous employee advocacy social media tools to help ease the process. In the next Edelman Report (2017), the difference in trust between company leadership and employees widened further. While trust in employees did fall 4% over the year, from 52% to 42%, trust in CEOs fell 12%, from 49% to 37%, and trust in Boards of Directors fell 10% from 45% to a mere 35%. Only trust in government officials, at 29%, is lower. We have already looked at some employee advocacy tools in Top 10 Employee Advocacy Programs to Increase Your Brand Reach. Here are an additional eight tools that will simplify the tasks of employee advocacy, both for a brand and its employees. 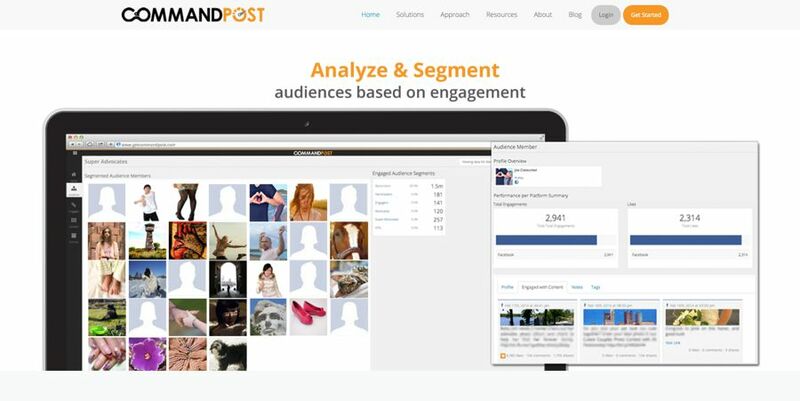 CommandPost is a complete social media monitoring, measurement, insight, and compliance solution, aimed at Fortune 100 financial services, automotive and consumer packaged goods companies, as well as leading advertising, social and PR agencies. Therefore, it encompasses much more than just employee advocacy, although that is a useful component of it. Although only a small proportion of the entire CommandPost package, there is a scalable, measurable tool to assist with the management of a business’ advocate channels. This includes both employee advocacy and influencer marketing solutions. A firm can use CommandPost to evaluate its best performing advocates and analyze their best performing content and platforms. It helps them efficiently manage advocates & influencers. The tool is also heavily geared towards ensuring employees comply with applicable rules and regulations when posting on the company’s behalf. This can be invaluable if the firm operates in a highly regulated sector. CommandPost features built-in tools for documenting and managing compliance by both advocates and influencers. GaggleAMP aims to make employee advocacy easy. It activates employees to drive digital engagement. GaggleAMP tries to make it fun for employees to participate in their employer’s digital marketing efforts. GaggleAMP’s focus revolves around a straightforward idea: helping firms leverage the power of their employees’ passions to bolster company marketing strategy. It provides users with customized mobile and desktop versions to make their experience as intuitive and effective as possible. This helps increase employee participation. With GaggleAMP, businesses can segment the content their employees want to see by tagging them. By tagging and grouping employees, companies can deliver the most relevant content to them and their respective audiences. GaggleAMP has put together more than 40 different actions your employees can take online, making engagement simple and convenient across the web -- all from one place. GaggleAMP also provides in-depth analytics to track, measure, and continually improve a business’ content marketing and social media engagements. It covers a vast array of supported social networks – all of the common ones, along with a variety of niche and specialist networks. In regards to social employee advocacy, Oktopost provides seamless content management for brands. It endeavors to streamline all corporate and employee advocacy activities through a single platform. The tool allows for easy content distribution. Firms can provide their employee advocates with pre-approved, on-brand social content with just a few clicks. They can also segment the content, to ensure that each employee advocate is sharing the most suitable material. At the same time, employees can make suggestions for appropriate content to share. It also ensures social compliance. Businesses can ban inappropriate keywords to prevent employee advocates from misusing them. Oktopost provides a plethora of insights and metrics; both at a high level and at an individual employee advocate level. It also makes the process simple for employees, with an app available, both desktop and mobile. Influitive’s AdvocateHub allows you to build a community and invite advocates to complete challenges: referrals, product reviews, social media posts, and more. As advocates complete these challenges, which can be targeted to groups or individuals, they automatically earn points, badges, and levels to redeem professional perks and privileges. AdvocateHub empowers companies to engage their customers, prospects, developers, and partners, as well as their employees, as advocates. It makes it easy for businesses to report on all activities completed. Firms can integrate it with their CRM and marketing automation platform to incorporate advocacy along every step of the customer journey. Businesses can engage their advocates with targeted, interactive challenges. They can target challenges based on advocate preferences, demographics, or past behavior. Advocates see an interactive activity feed providing curated suggestions for what they can do next. These suggestions are based on real-time activities and conversations happening between other advocates. The more challenges advocates complete, the more badges, levels, and activities they unlock. Firms can give advocates access to exclusive perks, content, contests, rewards, and opportunities-including sneak peeks at new products, branded swag, VIP treatment at a particular event, or the chance to interact with the company’s C-suite. Influitive AdvocateHub provides a campaign content library, with pre-built campaign templates. Formerly PeopleLinx, Staccato Social is one of a set of Staccato tools from Frontline Selling. In many ways, Staccato Social acts like a virtual sales coach for a company’s reps. All of the Staccato tools use the Staccato Process - reaching out to multiple people in an organization, consistently aggregating touch points in a particular order to get the attention of the right person. Therefore, you probably wouldn’t select Staccato Social as a stand-alone employee advocacy social media tool. However, if you want to make significant changes to your sales system, it may be of value to you. Although employee advocacy is a central aspect of Staccato Social, it covers more than that. Social selling is at the heart of the Staccato process. It recognizes that employees have the most significant impact on growing a company’s top line. Part of the process includes identifying thought leaders and high-value content. It provides powerful analytics that helps managers understand who and what the company’s most valuable assets are. It recognizes that with strengthened social networks and consistent social activity, sales reps can drive leads with company-owned and approved content. 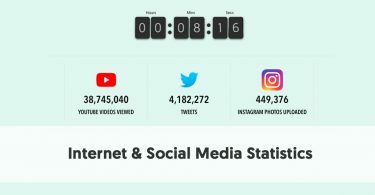 SocialToaster aims to assist companies by providing a communications solution that makes it easy to activate and engage audiences on social media. This means that it covers more than just employee advocacy – it is designed to be an all-in-one tool to help businesses manage their entire social advocacy. It focuses on word-of-mouth marketing geared towards all ambassadors engaged with your brand - turning customers, employees, and other stakeholders into a community of active advocates and ambassadors. 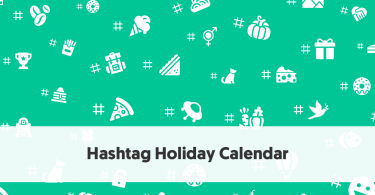 Social Toaster allows you to reach and engage fans through marketing emails, social media campaigns, contests, and social gamification. It is compatible with all of the major social networks. It helps you keep track of your results with advanced, real-time reporting and social analytics. 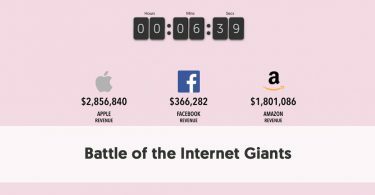 The reporting includes information on share rates, deep data digs, user data, site traffic, and network demographics. It is particularly useful for businesses in those industries where SocialToaster has tailored specific strategies - music, TV, consumer goods, education, sports, and movies. The employee analytics tools help a business find their employee’s employee accounts on Twitter. An organization can use it to find its most influential advocates. It can determine the background of its employees, their positions in the company, their location, their influence on others. Firms can also use SociaLook to keep track of the tweets employees share and monitor specific URLs and hashtags. They can also use it to analyze their audience. It helps to understand who is following the employees and find followers who meet specific criteria. In the Employee Engagement section, firms can use SociaLook to push content out to their employees and turn employees into content creators. They can set up time and goalbound rewards to motivate employees. Sprinklr Advocacy Marketing recognizes that both employees and customers can make powerful advocates. It offers a comprehensive solution for advocate identification, activation, and engagement across the social web. It allows you to build everything from the advocacy site experience to content strategy in a single, centralized admin console. The tool makes it easy for advocates to tell a brand’s story with one-click content sharing, a content scheduler, and a content planner. The package encourages engagement. A business can keep its advocates informed by sharing the most targeted, up-to-date announcements and notifications via email and the advocacy site. It includes gamification features, including an advocate leaderboard. As with most of these tools, Sprinklr Advocacy Marketing allows businesses to measure the performance of their advocacy programs with flexible reporting.